For most users, we recommend our hardware keyloggers. They are simpler to use, more stealthy than any software and record more than enough information for most people. But, for laptop users, the only good option is software. 1. Software keyloggers require Administrative access to install. If your child or employee has changed the master password on your computer, you won't be able to install a software keylogger. 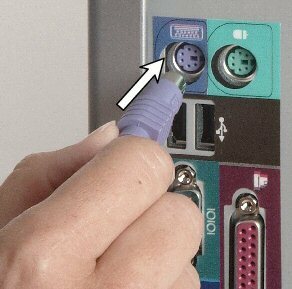 Our hardware keyloggers can be installed without admin access - simply connect them between the keyboard and the computer and they begin recording. Our hardware keyloggers record everything typed on the keyboard, including user names and passwords - even the BIOS and Windows log in passwords. 2. Software keyloggers use system resources. In other words, they slow your computer down. Yes, we know that the people selling them swear they don't, but think about it - running any software program slows a computer down. The more the program does, the more it will slow the computer down. They will noticeably slow a fast machine and can really bog down an older one. 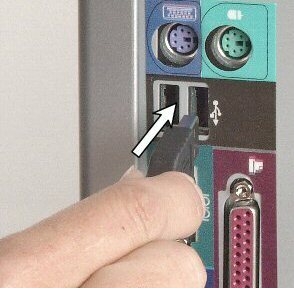 Hardware keyloggers (at least the good ones we sell) are completely self-contained and require no software at all. They use no memory and consume zero CPU cycles. They do NOT slow your computer down. 3. Detection and removal by anti-virus and anti-spyware software. Those programs are specifically designed to detect and remove software such as keyloggers and they get better each day. Sooner or later, that expensive keylogger software will be discovered and disabled. It is just a matter of time. The hardware keyloggers we sell are completely invisible to software and can not be detected except by turning the computer around and seeing it. No software will EVER be able to detect or disable our hardware keyloggers while they are in record mode. 4. Who is watching the Spys? Call us cynics, but we are very nervous about running any "stealthy" software on our own computers. What information is being sent back to the programmer? There really isn't any way to know, is there? They already lied to us about their product slowing down our computer - should we now trust them with our sensitive data? This is especially a concern with the cheap versions from no-name companies. With some of these programs, you are literally paying to put a virus on your own computer! Our hardware keyloggers are self-contained and cannot communicate across a network or send any information to anyone anywhere. 5. Cost of ownership. With software keyloggers, you need to buy a separate license for each computer you install it on. With our hardware keyloggers you can move them from computer to computer all you want. "Spot" monitoring your family's or business' computers is very cost effective.